Learning In The School Of Christ: Preparing For Your Destiny by J.W. 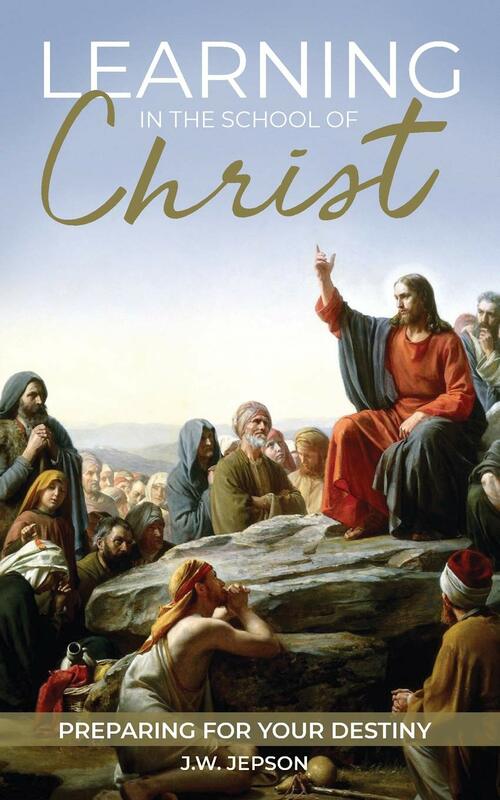 Jepson is a powerful little book to help us draw closer to God as we learn the lessons from Jesus. It is perfect for the individual or for studying within a life group. It can be read as a whole or broken down into bitesize chunks. Nothing surprizes God. At the creation of the world God knew about the fall. “God is not the ‘Supreme Guesser’.” He knew He would send Jesus. He knew about everything we would ever do – and still He created the world. For the Christian the Word, prayer and church are all vital. We need to know the Word and to stand on it. Prayer is communicating with God. We need to keep our lines open and constantly be in touch with Him. The church is God’s great idea for planet earth. It is a life saving and serving organisation if we would let it function as God intended. The book explores trust. “Trust is faith at rest.” We can trust God at all times. “Trust God. Even at times when it seems that Gods has failed, He hasn’t.” God never has a plan B because plan A always works. God sees the bigger picture. We can trust Him. There are chapters exploring what we can learn from Jesus – love, hope, joy, forgiveness and more. This is a powerful book. If we put into practice what we have learned from these pages, we will draw closer to God. Our goal should be to be more like Jesus today than we were yesterday. We are to be yoked beside Him and not behind Him, so where He walks we walk. Where He stops, we stop. A really powerful book that is perfect for both new Christians and those firmly established in their faith.